Outside: Queen? 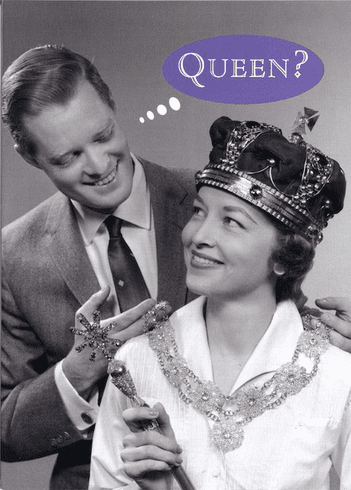 Inside: Sadly, it was Bob who turned out to be a bigger queen. Happy Birthday your Highness.